It’s no secret that small businesses are increasingly threatened by big chain stores, especially when it comes to technology. With wide selections of gadgets, large testing showrooms, and competitive price matching, big businesses like Best Buy and Walmart are forever on the brink of driving the neighborhood family-owned shops out of business. My family opened George’s Camera in 1965 and since then we’ve always offered the best selection of photographic and video equipment, supplies, digital cameras, and professional lighting. Our small business has now gone from a single shop on 30th Street in North Park to opening our second brick-and-mortar store last August in Kearny Mesa. David Rivera, owner of George’s Camera. 1. Offer the most recent technology. Technology is ever-changing. For that reason it is increasingly important for small businesses to not only keep up with the curve, but also be ahead of it. One of my favorite cutting-edge gadgets for photography is the Lytro Illum. Praised by NASA and dubbed the camera of the future, this camera allows photographers to alter shots after they’ve been taken, even if the photo is blurry. The Lytro Illum fixes the image in respect to point of focus, aperture, depth, perspective and lens tilt. This camera technology goes further and allows you to focus on everything instead of just one subject in the frame. Since offering this product in our store, we’ve attracted a significant number of customers and have increased product sales. 2. Share knowledge. Growing up in the business and shooting for Major League Baseball and the National Football League, I have a lifetime of camera knowledge that I’m more than willing to share with customers at every level. We offer classes at George’s Camera Academy in our Kearney Mesa store for beginners and professional photographers. Classes range from basic photography to courses that show the pros how to use photo editing software. Customers also receive a free class, “Know Your New Camera,” with a purchase of a DSLR camera. In addition to being helpful for the customer, these classes give us an advantage over the internet resellers and big box stores. 3. Allow options for the commitment phobia. Our “try it before you buy it” program allows customers to rent cameras before they make the leap into purchasing. This rental option is the best way to test new technology in real time, everyday life. This program increases the interest of those hesitant to try a new hobby and leads to a more satisfied and knowledgeable purchase with limited buyers regret and product returns. 4. Treat customers like family. We’ve been family owned and operated since 1965 and that being said, family is ingrained in George’s Camera. That’s why our mantra echoes the old secret to a happy marriage: never let a customer leave the store upset, no matter what. Showing a genuine interest in who the customer is and asking a friendly question about his or her day can go a long way. 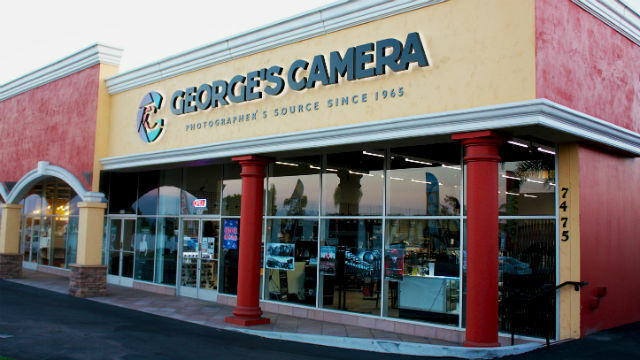 It’s our customers who have voted George’s as San Diego’s best camera store since 2011. We believe that viewing a customer as a friend rather than a sale is the true secret to success. 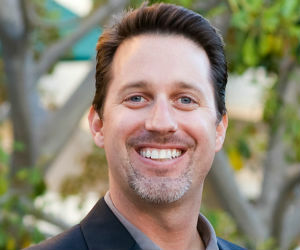 David Rivera is owner and operator of George’s Camera, San Diego’s largest full-service discount camera store.